Wigtown Bay Sailing Club needed a new engine for its safety boat, which is an essential requirement for running activities on the water with anyone who is not trained – this includes all the Club’s activity days with local children. The safety boat is also used for the wider community, through local volunteers who use it to help anyone experiencing an issue in the water. In 2017 the engine’s unreliability caused the Sailing Club to cancel planned sail and kayak days as no safety boat cover could be provided; and the boat was taken out of service. A grant of £4,600 from the Kilgallioch Fund has enabled the Sailing Club to buy a new engine and local volunteers cleaned and painted the rib and put the safety boat back into use. 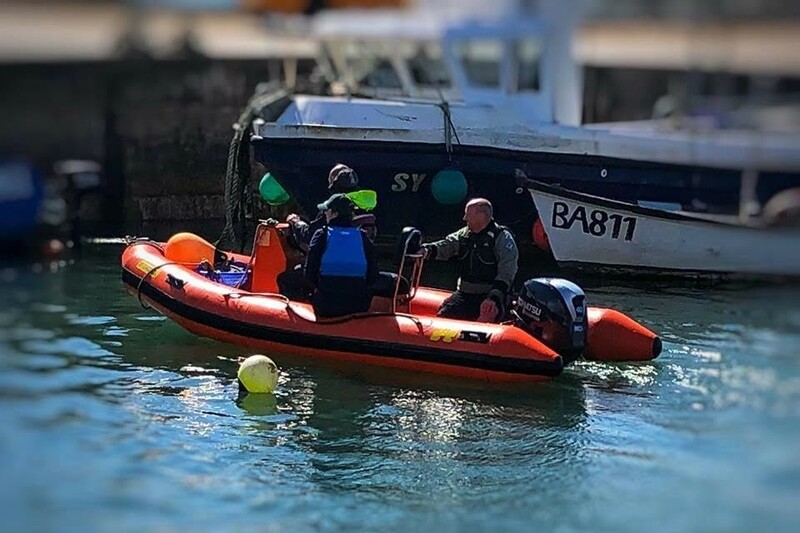 The grant also paid for places on a powerboat safety training course, to increase the number of local people able to drive the boat properly and assist in safety boat cover. Six people have now successfully completed their powerboat training and the boat has already enabled 70 members and 35 juniors were able to take part in sailing courses and activity days during the summer of 2018. It is anticipated that the safety boat will be used for the next 15-20 years and long term it will both increase local access to sailing and sea based activities and act as a community safety resource for all.